I’m all the more surprised — and honored — since I was nominated 4 times last year and I ended up winning two awards. 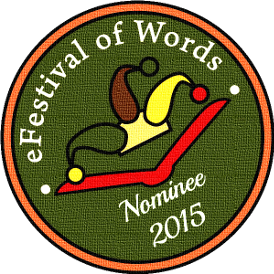 This year The Invisible Hands – Part 4: Mate was nominated in Best Fantasy (High Fantasy/Sword and Sorcery). A lot of my friends and colleagues also figure on the list. My good friend Caddy Rowland was nominated in both Best Novel and Best Historical Fiction for Gastien: From Dream to Destiny. I’m also pleased that the anthology I had the honor to edit, Stories on the Go: 101 Very Short Stories by 101 Authors, was nominated for Best Anthology. In the next stage each category will be narrowed down to five or seven finalists. If one of my books gets that far, I’ll be sure to let you know, because as soon as the finalists are announced on the first of July, there will be an open voting for the general public. But even if my book doesn’t go any further, it was an honor just to be nominated by my peers. I mustn’t be greedy. After all, I already won the previous year. Many thanks to organizer Julie Dawson, and good luck to all nominees. No doubt : you deserve tre prizes. But yet I told you that your best has been Bonds of hate, but it’s only my personal opinion. I (along with all your fan readers) truly believe you deserve them and many more to come, I hope. Great job, astounding writing. Keep it up, please.